To improve the level of implementing Code for enterprise intellectual property management, we organized training course for our colleagues. 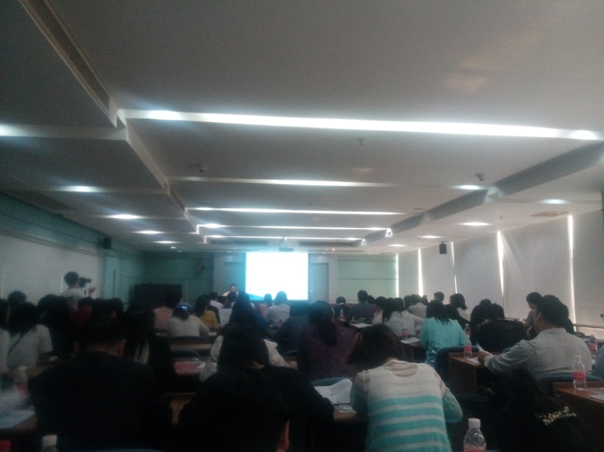 We invited Deputy director, Marketing deputy Director of the technical committee of Zhongzhi(Beijing) Co., Ltd, and senior auditor of the Enterprise intellectual property management system, as lecturer. Mr.Zhang had introduced the background and meaning of the Code, and every items of the Code, it gave us a deep impression of the importance of intellectual property. The section chief of the Intellectual property, Mr.Jiao energized and mobilized the enterprises and announced that if you apply for certification, you could get 50 thousand, or 100 thousand for those who passed the certification. Now, many of us had obtained the qualification certificate from Patent office of Guangdong through training and examination. We had set up a group to carry on the work and we had the confidence to accomplish the work.